Tower Transit Feeder Service 945 is a Feeder service operating from Bukit Batok Bus Interchange, passing through Bukit Batok Street 52, Bukit Batok West Avenue 6, and looping at Bukit Batok Street 34. 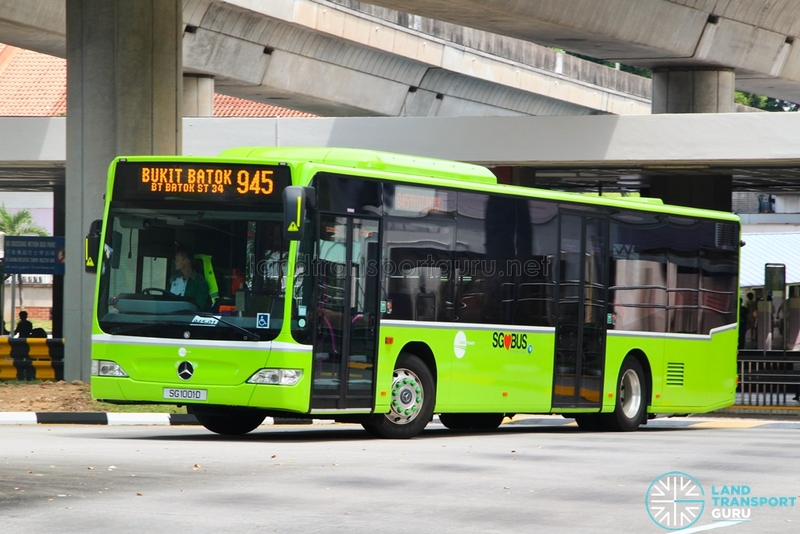 Feeder Service 945 serves residential blocks, schools and public amenities along Bukit Batok East Ave 5, Bukit Batok St 52, Bukit Batok West Ave 5 and Bukit Batok West Ave 4, connecting them to transport nodes at Bukit Batok Bus Interchange, Bukit Gombak MRT station and Bukit Batok MRT station. Its primary area of service is Bukit Batok Neighbourhoods 3, 4 and 5. The route serves schools such as Hillgrove Secondary School, Lianhua Primary School, Swiss Cottage Secondary School and St. Anthony’s Primary School. It also serves community amenities such as Bukit Gombak Stadium, Bukit Batok Town Park (Little Guilin) and HomeTeamNS @ Bukit Batok. 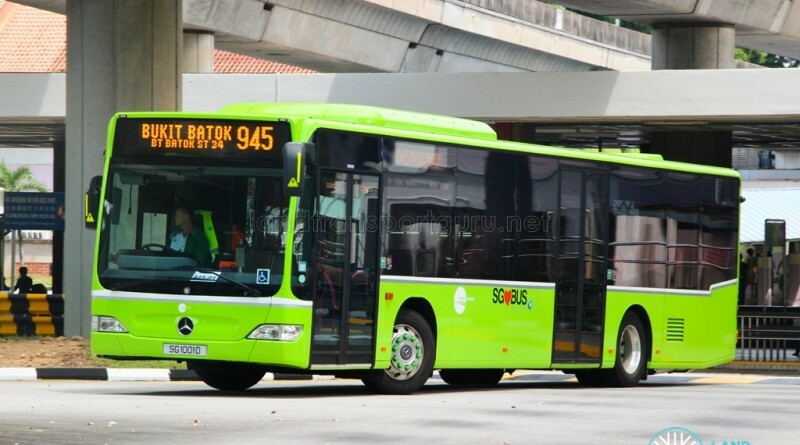 Formerly a Singapore Bus Service (SBS) route known as Service 365, it was transferred to Trans-Island Bus Service (TIBS) in 2000 when areas of responsibility were exchanged between SBS and TIBS, which has since been re-branded to SMRT. The route was later renumbered to Service 945. High capacity double-deck / articulated buses are not deployed on a daily basis due to moderate daily demand from residents. Fare: Basic distance fares capped at 3.2km for feeder services. See Bus Fares.